Llanos-Figueroa engaged in a Q&A via email with Los Afro-Latinos to talk about her new book, growing up in Puerto Rico and the importance and power of storytelling. Los Afro-Latinos: Why did you decide to write this book? What was your inspiration? Dahlma Llanos-Figueroa: There were many reasons for my writing this book. Chief among them was that as I grew up and became aware of media representations of Latinos in general, and Puerto Ricans in particular, none of those sources ever offered an accurate representation of my life and the people in it. Instead, I got the same stereotypical images that have offended Latinos for decades. Nowhere was the rich legacy of African cultures evident in any of these images. LA-L: Latin American writers like Isabel Allende and Gabriel García Márquez known for literary genre of magical realism, do you consider the book to be part of that genre? Why or why not? DL-F: I do consider my novel to have some of the elements of the magic realism tradition, though I use them sparingly. Sometimes, a style or technique can overwhelm the narrative. I don’t want the reader to be so focused on how I said something, that they lose track of the story. I consider myself a storyteller, so I sometimes sacrifice other aspects of literary traditions in the service of story. LA-L: Reflecting on your childhood in rural Puerto Rico, what did you learn about growing up in the country in regards to nature, passage of time, relationships with family and sense of community? DL-F: The strongest influences in my formative years in Puerto Rico were family and community. While my life in the Bronx had been sheltered and nurturing, I became a part of a much larger community when I was sent to live with my grandparents. Surrounded by dozens of family members who filled all aspects of my life was a wonderful way of exploring a new world. I walked to school with cousins stopping along the way to buy treats, learned about caring for and milking cattle from uncles who rose at sunrise to begin their chores, shared early morning breakfast of fresh coffee and warm, buttered bread with my grandfather before he left for the sugar cane fields, helped my grandmother butcher a pig every Saturday morning and sell the resulting meat and sausages every Saturday evening. I knew every family in the area and they knew me. That was a totally different experience than the ones I had had in NYC. LA-L: Has the role of family and storytelling in Puerto Rico changed since your childhood? DL-F: I think that we have lost this wonderful tradition to modern day media sources. Sadly, I see so many young people plug into one machine or another for ‘information’. As a result, I also see a lock step, uniformity that is disturbing. But on a quieter, private, more intimate level, I still see rocking chairs on porches and older women, especially, passing on stories as they braid a head of hair or teach a child how to crochet the latest style. Wherever I go, I ask people about how family stories are being passed down from generation to generation. Many young people talk about their grandparents or other elders passing on stories about their lives. And this isn’t limited to Puerto Ricans alone. Many of my readers from other cultures talk about finding out about family history through these stories. Often they admit that they didn’t pay enough attention. But much is retained in their memories. LA-L: What did you learn about being a Puerto Rican girl of African descent from your family, particularly the women? DL-F: The lessons were engrained in the day-to-day living. The reverence for the elders, past and present is always there. The sense of ‘respeto’, a deeply rooted sense of respect for what came before. There is a deep sense of connection to ancestors, a sense of their being a spiritual connection between the past and the present, as sense of never being alone because those ancestors are always with you. Our ‘angels’ aren’t the ephemeral blond European entities that hover high over our shoulders, but African entities that live within us and help guide us. Our role in all of this is to see to it that the values on passed on to the next generation. The women were the keepers of the soul—that is the men might teach us on a physical level, how to farm or fix a car or build a shed. And the women also taught us the day-to-day tasks of keeping house and tending to family, etc. But a much more important role for the women was guiding the children through the emotional and spiritual landscape of their lives. Then, of course, there were the more visible cultural elements—the music, the dance, the food, the arts, all influenced by African roots. 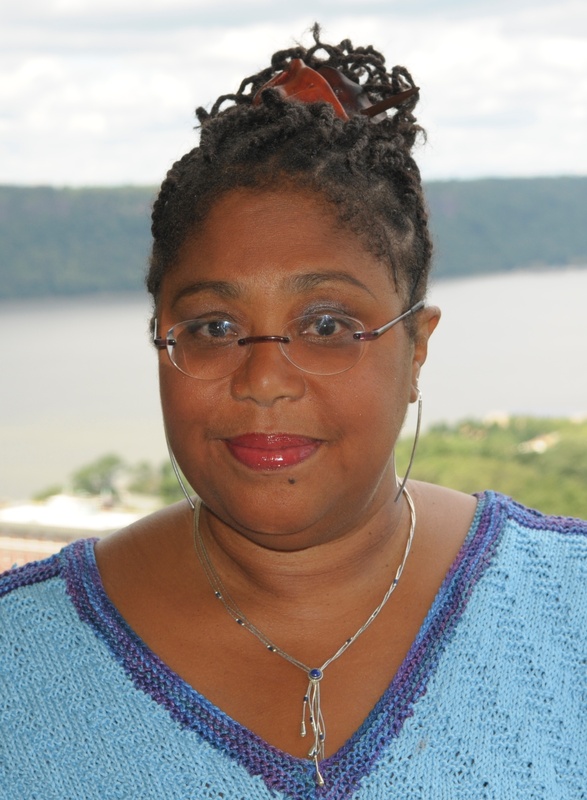 LA-L: Describe the role of Afro-Puerto Rican women in literature? DL-F: I’m not an expert on Puerto Rican literature but from what I’ve read thus far, I think until very recently, maybe the past 15 years or so, the Afro-Puerto Rican woman has been in the shadows of our literature. They might appear as secondary characters, but weren’t the focus of literary works as fully fleshed out characters with strong narrative voices of their own, at least not until very recently. This very silence of voices that filled my life for so many years is one of the reasons why I wrote Daughters of the Stone. It was an attempt to give voice to voices that have been given full voice in the past. LA-L: What do you want people to take away from Daughters of the Stone? DL-F: I wanted to write about the entire journey of the Afro-Puerto Rican family from slavery to colonial rule to migration to acculturation to return migration and reintegration. First of all, it’s important to me that there be a serious exploration, rather than a cursory mention, of the African presence in Puerto Rican culture. I wanted there to be a more accurate and inclusive image of the Afro-Puerto Rican reality both on the island and in the American urban scene. For decades we had all seen the images of urban decay and problems that ravaged our people in urban America. Those images were repeated to the point where they seemed to represent the totality of our experience as a people. I felt was time for one of us to write our own narrative, one to reflect those elements that sustained and nurtured a community. I also wanted very strong female voices. Enough with the timid, ineffectual, downtrodden, subservient and powerless woman! Our people could not have survived for these five hundred years if that were the only model we had. To come this far, and thrive, we must have had quite a bit more than that old stereotype. I wanted to show another facet of our existence. Beyond that, I wanted to show the universality of our lives. My novel is the story of how women hold families together. It is the story of coming to terms with who you are before embarking on who you want to be. It is the story of honoring the past, of giving memory it’s due, of giving voice to people who have been rendered invisible and voiceless. LA-L: Have you traveled to Africa? What did you takeaway from your trip in terms of connections between Africa and Puerto Rico? DL-F: I have visited Egypt, Senegal, and Kenya. I was especially moved in Senegal where I found much of my own culture around every corner. I heard Latin music playing through the loud speakers at the market in Dakar. When I started dancing, partner appeared out of nowhere and we had an impromptu party, all moving to the same drum beat. In one home, I saw a young girl, cleaning rice in a huge gourd much like my grandmother had me do as a child. The foods—the smells of spices in the preparation of stewed meats and rice, and the varieties of tropical fruits, were all reminders of our own Caribbean cuisine. I would love to visit other Sub-Saharan countries as well as some of the North African nations. Few people realize the variety of cultures that exist on that continent and I would love to explore all of them. Unfortunately, changing political landscapes make it difficult to do as much traveling as I would like. LA-L: What would you like people to know about the African presence in Puerto Rico? DL-F: I want people to know that it’s not some intangible historical footnote. The African presence permeates our culture on the island and wherever we might go. It is in our cultural DNA, so to speak. It is an integral part of us. The average person lives it on a daily basis in our language, our religion, our family interactions, and our food. Our musicians, artists and writers feed on it, meld it with other traditions, bend and twist and reconstruct it into modern art forms, but it is nonetheless African in it’s essence. LA-L: What are your future plans and projects? DL-F: I just got back from a month long research trip to Puerto Rico where I met with industrial archeologists and urban architects who helped me reconstruct the world of 19th century plantation life, as well as the subsequent period of American take over of the sugar cane industry at the turn of the last century. These meetings have been invaluable as I begin work on the new novel. Many readers often ask me if I will write a sequel to Daughters of the Stone. While the new novel is not a sequel, those characters aren’t finished with me yet. So the new book will have some points of intersection with the first novel but will not be a sequel strictly speaking. We’ll see where their voices take me. I also have a collection of short stories called Snapshots of a Woman’s Life that I’d like to see in print. 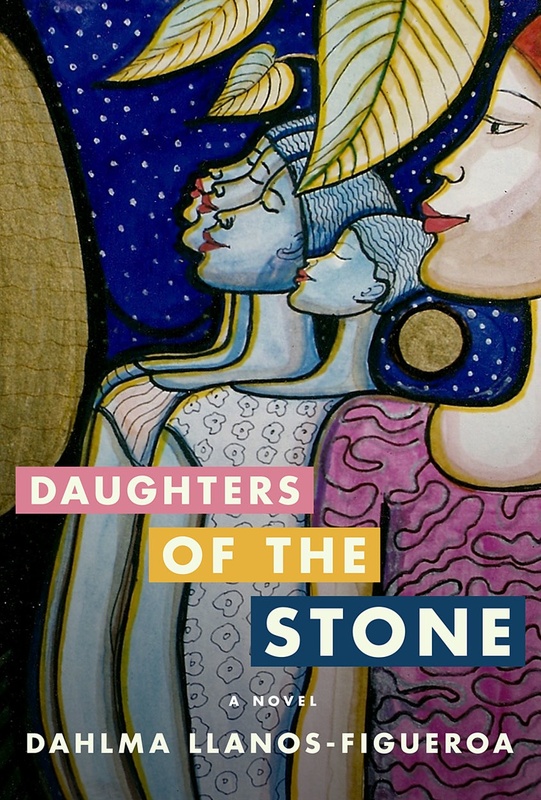 Daughters of the Stone is available now.